Jamhoor interviewed renowned public intellectual and activist, Tariq Ali. We discussed the trajectory of the global Left since the heady days of 1968 – the year of street revolts and agitations that reverberated across the world, from the civil rights and anti-Vietnam War movement in the United States, to students’ and workers’ protests in Mexico, France, and all over Europe. Having participated in these agitations across Europe, Ali was also centrally involved in the mass uprising in Pakistan, which brought an end to a decade of military dictatorship under Ayub Khan. In Part I of this two-part conversation, Ali recounted the participation of workers, students, and women in the mass upheavals of the 60s. Here in Part II, Ali examines the resonances of those events today – from generational tensions in the Left, to the changing role of intellectuals, the current nature of US imperialism, the emerging anti-war movement in Pakistan, and of course, South Asia’s favourite sport, cricket. Ayyaz Mallick (AM) — I get the sense that the ‘68 moment was very much i) a response to the geopolitics of the time, because of Vietnam, the Tet Offensive, many national liberation movements etc., and ii) a generational revolt against the old Left. And it seems as though the moment now has some resonance with that time, in terms of both the geopolitical dynamics and a new kind of youth revolt. Is this something you have also observed or agree with? Tariq Ali (TA) – Yes, it was a generational revolt without any doubt, and with very specific reasons and causes. But in terms of the moment now, it would be nice if this was the case. You have to understand that something happened in the 90s, a two-pronged thing – one, the complete collapse of the Soviet Union, and it was a collapse of their leadership. No one destroyed them from the outside. It was an implosion, because they couldn’t find a proper way to reform the system, though they tried twice before, and due to the naiveté of its leaders – Gorbachev in particular – who actually thought that the West would help the Soviet Union. The collapse of the Soviet Union, regardless of what you thought about its leaders or how it functioned internally, was a huge defeat for the Left. And in combination with that defeat was the Chinese turning to capitalism. There were big debates in the Chinese party. Mao Tse-Tung’s launching of the Cultural Revolution was an appeal to the base against the leaders who wanted this. Some of us used to think that denouncing Deng Xiaoping and others as capitalist roaders was slander. Actually, it turned out to be true. And the turn to capitalism was with Mao’s support and approval. It’s worth knowing that. These two defeats really meant that we were staring at the abyss. And for young people, there was a big surge either towards being apolitical, which many were, or embracing capitalism! All over the world. I remember talking to Benazir Bhutto when she first became Prime Minister of Pakistan and telling her off, and she said, “Tariq, you'll always be like this, an idealist… that world has gone forever; socialism is forgotten”. I said, “Well it'll come back, don't worry, because the conditions aren't changing – they're getting worse. And anyway, that isn’t an excuse for you not to supply free education, a health system, create basic things which even capitalists don’t oppose, because it actually increases their efficiency to have a workforce which is educated!” She said, “Kaun yahan karay ga” (who will do this here). In 2010, this changed. The illusions in capitalism suffered a huge blow, and slowly, movements began to rise. Initially, even before 2008, in Latin America which had suffered the depredations of neoliberal capitalism before it went to other parts of the world. But then they gradually spread. It's been episodic, but now they’re becoming global. However, because of the generational shift, I see a real reluctance to seriously discuss the lessons of the Russian and Chinese revolutions — “that’s the past, its history”. So the new layers of the Left tend to be – let’s say starting from the United States – linked to single issues: Black Lives Matter, #MeToo with all its different permutations, some good some not so good, and the Occupy movements. And they’ve had a total hostility to program and programmatic reflections on what’s needed — that is largely a consequence of what happened over the 20th century. I remember speaking in the Bay Area during the first wave of the occupations and saying very basic things. It was a public, open air meeting and I said, “Look, it’s fantastic what you’re doing but time will pass and what will be left? At the very least, you should come up with basic socialist demands, nothing too extravagant –free education, a proper health care system, public housing…”. And some guy stood up and said, “We didn't come here to listen to all this commie talk”. So I said, “Well it may be commie or not, that's up to you. But these are things your people need”. So you have two simultaneous developments taking place – one is a resurgence of radical social democracy, and the other is a resurgence of… let's call it neofascism. And they are happening at the same time. In some places like Britain, Corbyn became the leader of the Labour Party – unheard of! But also, you have semi-fascist groups in power in Italy; Brazil will go too if Bolsonaro is elected, and I can’t see anything stopping him. That will be the first victory of an open self-avowed fascist, who says in speeches that one of his tasks is to wipe out the PT (Worker’s Party). So it's not just the Left benefiting from the crash of 2008. It's the Far Right as well. Modi is another example. Tayyaba Jiwani (TJ) – Absolutely. Taking forward your points on the two defeats, what we’ve noticed in Pakistan, for example, is a certain gap in continuity within the Left. On the one hand, there are a lot of young people, eager to participate but relatively inexperienced, many politicised in the Musharraf era (the anti-dictatorship/lawyers’ movement). And on the other, an old guard who was involved in the movements of the 60s and 70s. But there is a sort of “missing generation”, from the 80s/90s, to bridge this gap and perhaps translate the lessons of earlier movements, both organizationally and intellectually. TA – It’s very similar to the rest of the world. And this is a phenomenon we have to live with. It's always been the case, historically, that very tiny numbers of people, usually intellectuals of one sort or the other, learn from books. The bulk of the people learn from their own experiences. And then, if there aren't people who know, who have read the books, who can make these ideas available, then there's a problem… people can go anywhere. I'm very firmly of the opinion that we need political movements and organizations of a new type. Not the old, you know guru-shagird (teacher-student) organisations, but movements in which the rank-and-file, the members, are taught to think for themselves, to question, and be critical. And in the entire communist movement following the 30s (and even in non-communist movements of a religious type like the Muslim Brotherhood etc.) the emphasis has always been on discipline, no questioning of the leadership, etc. We have to break with this. And I think this generation is much keener on this than ours. In fact, when I read stuff or see people trying to fit what is going on in the country [Pakistan] to dogma, the old left-wing dogmas… I find it irrelevant really. That’s what worries me – that some of these groups are still around and there’s nothing else. That people becoming politicised encounter this, and there’s no counterweight. In terms of the generation gap, this is going to happen, because the bulk of my generation – which is still active in Pakistan – went into the PPP, and they were either crushed, expelled, or locked up by Bhutto, including his own party members. He treated them appallingly, [at a time] when there were huge possibilities. That was the time, honestly, when the country was truly united, East and West. And I do blame him—well, obviously the army is the primary criminal here, but Bhutto didn’t play a good role at all. He did important things – he raised political consciousness like no other politician has done, but that’s about it. And you have to talk about what you mean by socialism. No one is in favour, as far as I know, of a one-party state, for instance. It’s just repellent, the notion of it. That idea of one party deciding, its leaders dominant in the party, dominant in the government, deciding every single thing — it disarms and disempowers your own base, leave alone anything else. That is not going to work. The CPM (Communist Party of India-Marxist) is learning this lesson, I hope, after its defeat in West Bengal, which they thought they had forever. They now can’t defeat a reactionary, semi-Congressite politician. So I think it’s extremely important to realise this. Of course, Marxist categories are important; I remain a Marxist in the broad sense, but not in the sense of treating everything like dogma. I remember, for this latest book on Lenin which I wrote last year, reading Lenin for the first time without any instrumentalist reasons… because in the 60s and 70s we read him just to prove: “Ah look, Lenin said this so we are right!” You know it’s a religious type of thinking — why must he be right? But now, I was reading Lenin again, and reading both between the lines and some of the things he wrote in public which many on the Left don’t like hearing. I was reading the Lenin who was shaken towards the end of his life by the disaster he was witnessing! And this wonderful phrase I found for the first time – I’d never seen it in the 60s and 70s – where Lenin, in a rage, says to his Bolshevik comrades: “We knew nothing!” That should be the motto. And: “we thought it would all be easy, we had no experience of running a state, and look at all the mistakes we are making. We thought we would get rid of the Tsarist bureaucracy, but instead this bureaucracy is winning over a lot of Bolsheviks, who now behave like Tsarist bureaucrats”. He actually said all that! TJ – Perhaps we can explore your point about intellectuals a little bit further. In ‘68, thinkers and intellectuals like Sartre and Russell were very much at the centre of the movement, yourself included. But now as mass politics has become more disintegrated, more disparate – what you called single-issue – how has the role of the intellectual changed, and how do you think our politics should be structured in such a way to incorporate an intellectual tradition? TA – Yes, but though we didn’t agree with them, we had huge communist parties. The Italian Communist Party was hegemonic on the Left. They had daily newspapers, weekly magazines, cultural magazines, publishing houses. All that went away after the 90s. It got wiped out and many of those people turned Right. The Italians in particular. Which is why we’re in this awful situation. But I think intellectuals linked to politics – political intellectuals – by and large, have to be organic. They have to be linked to some movements. Not that they support everything the movements do, but that is what gives you your bearings. Even when the movements are weak, but are at least trying to bring up some new ideas in the realm of anti-capitalism. So for me, after the 90s… I knew it was a huge defeat, which many people didn't accept at the time. I knew that one couldn’t operate in the old ways – [pretending] nothing’s happened, or that the slate has been wiped clean and now we can just start like that. You can’t forget or ignore history, and the masses don’t. And when we relaunched the New Left Review in 2000, one very important text was Perry Anderson’s editorial in the relaunch issue. He wrote that we have to accept, lucidly, that there has been a huge defeat. This means that we have to become hard-headed political realists. Of course, we remain anti-capitalists, but we shouldn’t sow illusions by bending things in ways that they aren’t – but telling the truth, writing it down, not making concessions, being uncompromising. It was a minority view, because most people thought they’d just go on. Some even said – some sectarian groups, “Oh great! The Soviet Union and all that world [is gone], now it’s our turn!” Crazy stuff, really. The big question of the 21st century for intellectuals and others is the question mark on China. It has gone capitalist. It has, at the same time, lifted millions of people out of poverty. There is no denying that. But the question is, once you’ve caught up with Europe, then what? Where do we go from there? They have no real replies to this. And the big question for me is whether there will be big political upheavals in China, which could go either way. If they identify the Chinese Communist Party as repressive, one that is not letting them move forward, and get rid of it—I mean there is a danger, and the Americans won’t be unhappy of a new form, if you like, of economic warlord-ism – the breakup of China. This is an American dream – an American imperialist dream – and it should be resisted. And I think, the Chinese leadership are not unaware of this. They are now caught up, in Marxist terms, in the [capitalist world-system]. Against this, there is of course Chinese nationalism, which has its strong and weak sides, because on its own it’s not enough to solve the problem. The largest proletariat in the world is in China — are they going to be asleep for the rest of the century? I don’t think so. AM – Right, and bringing that discussion to veer on Pakistan, there’s a lot of talk about the United States not being as big a hegemonic player as it used be. Others like Leo Panitch, etc. say that America is still the lynchpin of the global imperialist system. There is also a lot of talk on multi-polarity. What are your thoughts on the imperialism debate, and what does this mean for Pakistan's ruling classes, because they've always had a role in America's regional calculus, especially Pakistan’s security establishment. 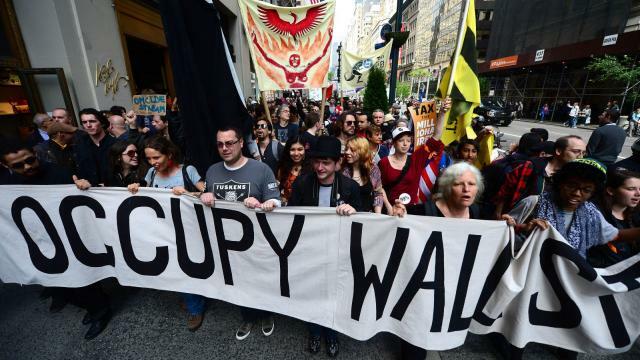 TA – I think all this talk of the collapse of the American empire is greatly exaggerated. And it offers, to some, a way out from talking about imperialism at all. The Left is very confused on this issue. So I think on that, Panitch and Gindin are right. I may be wrong, but in my opinion, the US is the lynchpin of the global capitalist system without any doubt. Of course, they’ve had challenges which have taken them by surprise. They didn't think the Chinese would develop so quickly, but if you look at the rest of the world, it’s quite under control. Japan, for example, is effectively an American colony. Whenever the Japanese produce a leader who questions the American base in Okinawa etc., they are removed. Obama went and removed the last guy who did it. You know, Obama, who’s worshipped by liberals, was an imperial president despite the colour of his skin. If you look at Europe, even with a president like Trump, they can’t break with him. They make jokes, they’re sly, snide, but they cannot break. To be a member of the European Union now, you have to be in NATO; it's a precondition. And if you look at American power concretely, it is much, much stronger than it was during the Cold War – fighting six or seven wars as we speak, more military bases in more countries than ever before, in terms of the control of military technology they’re way ahead. So, while America has declined in terms of manufacturing capital, in terms of both financial capital, and even more so, having control of the top technologically advanced companies—and let’s not forget, this transformative development, the World Wide Web, was created by the West Coast. So, it's not that the American system is dead. It’s been weakened, but this has happened in the past too. After the defeat in Vietnam, which was a real defeat, people thought the Empire would never rise again. I challenged that even at the time. I said this is a very superficial way of looking at it – it’s wishful thinking. Now for Pakistan. Pakistan's very basis for existence has been the decision of the British Empire not to leave without, at least, helping the creation of a new state. In one of my books, I outlined how desperate the Pakistanis were on becoming an imperial stooge, even though there was no problem – Feroz Khan Noon trying to see the American ambassador in Istanbul, saying “please take us over”. Even, on a very limited level, Jinnah trying to put pressure on the American Embassy to buy his house in Karachi. And the Americans made this decision in 1950 to just get this country. Now in the 60s, after the 1962 Sino-Indian border clashes when the Americans thought they might get India, and they made a huge turn towards India, that made the Pakistani elite nervous and they developed close links with China. Those links are strong, not like the American ones. Today, Pakistan is economically also dependent on Saudi oil and gold, since Musharraf’s time if not before. The Sharif brothers were helped out by Saudi money, Imran Khan has just got six billion dollars. The Saudis were also very dominant in establishing the Zia dictatorship; they never liked Bhutto. So Pakistan are not ruled by the US now as they were in the 50s. And it's not just ideology; the ideology of the ruling class has not changed much, except the post-Zia and Zia period Islamisation (which no one has been able to reverse). But there have been significant developments – one is Chinese entry into Pakistan as an economic player and the creation of Gwadar as an alternative to the Gulf ports, which the Chinese have got completely under their control. Had the Pakistani regime been intelligent, they would have allowed the Baloch to service all this, and not sent in settlers from outside to get these jobs. That would have lifted economically, not politically, the standards of living of the people. They decided not to do this and it has created new tensions. I mean it's just irrational. There is another way of operating – to learn the lessons of their big debacle in Bangladesh. But one thing I would advise the Left in Pakistan to be careful about: as we’ve been discussing, the global situation is very different, the power players are very different from the 60s and 70s. In that period, we used to imagine, especially after Bangladesh, that one way to defeat the West Pakistan ruling class was [through] an independent Pashtunistan, independent Balochistan, etc. [But] no Pashtun government could exist unless it was friendly with Afghanistan, and the entry of the Russians and the Afghan War, the Jihadization, changed things completely. And in the case of Balochistan, we thought that the obvious thing was a unified Balochistan with the Iranian side. That was ended by Khomeini. So those two concrete, though utopian, possibilities are now gone. At the same time, the army was now determined that whatever else happens, the rest of the country is to be held together. So a combination of external and internal factors put an end to that vision. Today, in my opinion, the notion of having independence for these tiny states is just completely reactionary; either the Americans will guarantee your independence, meaning you'll be like the Gulf states – you know, clients. It's not going to happen, and simply repeating the demands of the 60s and 70s, which were very progressive demands for Balochistan, that is wrong [today] because the world has changed. AM - This leads to a very interesting question that... although national oppression in the old-fashioned sense still exists for the Pashtun and Baloch in Pakistan, the terrain of leftist and nationalist/sub-nationalist politics has been changing in the post-9/11 era, with the War on Terror and heavy militarisation in the region. 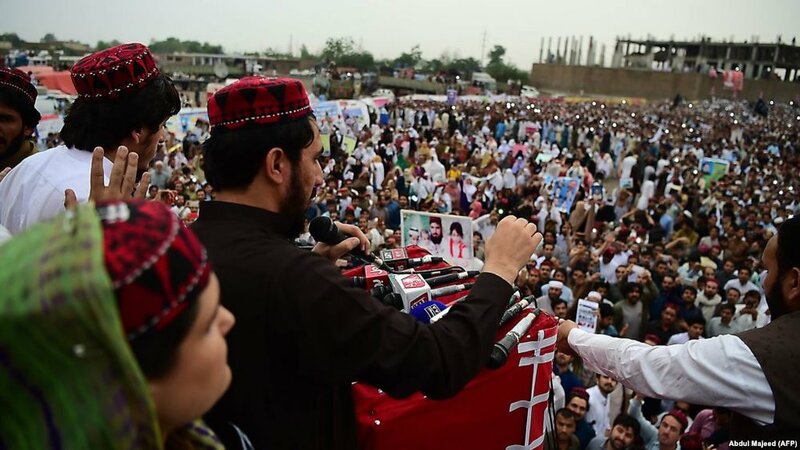 What is your view of the Pashtun Tahaffuz (Protection) Movement [PTM] that is emerging from the region? TA – I like this movement! There are good people involved in it, both young men and women from the current generation, and some good people from the past. And what it's fighting for is not independence but creating an alternative in the region. I think that’s very important to do, and very courageous, because what they’re doing is challenging the religious organizations and the country's intelligence services. One doesn’t even say the elite… why should the elite, any rational, thinking members of the elite be opposed to creating a calm, stable situation in Pakhtunkhwa?... And it was badly needed, especially since the collapse of the Awami National Party (ANP) which became corrupt, became pro-American. This was the other side of the Jihadis. The Americans were prepared to give money to anyone who was opposing them. And a lot of these people fell for that, which was a huge loss. So you felt a complete blank there until this movement, the PTM, arose. I am impressed with the people I met, and they want some representation as well. Best of luck to them is all one can say! TJ – If you look at the way the United States has historically had common and conflicting interests with Pakistan’s military and political elite, how do you construct a mass movement that’s anti-state and anti-imperialism at the same time? TA – It’s very difficult. I think these people [the PTM] have come closest to it so far. When I spoke to people from the PTM, they had no illusions about the United States at all. And I stressed this. I said it would be crazy [to look to the US]; this has already destroyed the ANP. “Don't fall into that trap; you're winning support because you are not like that”. Neither the United States nor the jihadis! And saying that means, obviously, not the intelligence agencies either. And as for the intelligence agencies, sometimes we fetishize them too much. They are operations of the Pakistani state and particularly the military. We say ISI, but the ISI is the army. It’s not an autonomous force. They do what the army high command tells them to do, and in fact, sometimes take the flak of the army and officers. The Americans are not going to create tiny little states in Pakistan; they’ve got the whole country more or less. I mean the American drone program was being run from bases in Sindh, by the Pakistani military. Sometimes they get angry with the Pakistanis — I will never forget when Musharraf went to the Non-Aligned Conference in Havana to thank the Cubans for all they’d done during the earthquake [of 2005]. He met Chavez and even left Chavez shocked by his cynicism. Musharraf said to Chavez, I paraphrase, “you know what you say sometimes about the Americans is absolutely correct, but you go about it the wrong way. What we do is agree with them in public but do what we want to do in private!” (laughs). But the PTM is an encouraging movement. And more people should know about it. A non-violent, progressive, civil-rights movement, inclusive of women, nationalist but not in the separatist sense – intelligent nationalism, though it makes me think that perhaps we need a nationwide thing, a Pakistan Tahaffuz Movement against… you know, the rich! AM –I remember a few years ago you wrote that you had hopes from Imran Khan, but recently you've said your hopes were dashed. Why the change of heart? But, you know, he goes into the filthy waters of Pakistani politics, and all these little monsters and worms who lurk below the surface rise, seeing that this could be the new thing, and join the party. There's no ideology at all, except initially a vague liberalism, then liberalism coupled with so-called progressive Islamism. And if you look at the composition of this current government, most of his cabinet members, like the foreign minister and others – I could name them but I try not to think of their names too much – have been in every government since Musharraf. Some were in Benazir’s government, then with Musharraf, then Zardari, then the Sharif brothers, now with Imran. So if you operate like that, you basically prolong the old system, do nothing to alter it, not even in the most minimal way. And I must say, I’d never thought I would read a book written by one of his ex-wives, but that last book [by Reham Khan] I mean... you can’t make it up! And then this Peerni [his current wife], who is a sort of self-parody, actually. AM – And also, his relationship with the military, the fascist kind of Islamist groups in civil society, and his strategic silence on that. TA – Yes… it’s a disaster story. I’m sad, because there was a hope that he could become, in his own strange way, the leader of a new generation, the young generation. Their aspirations are not like ours – they are not socialist, but basically liberal. The transformation of this society in that direction would have been a good thing, that’s all I’d hoped for. That, of course, is not going to happen now, with what’s going on. And who knows how long he and his party will last. The Sharif brothers were, of course, total crooks and rogues themselves, but they at least had some understanding of capitalism – they were capitalists. They were, if you like, bourgeois politicians with a bourgeois rationale. TA – Exactly, contractors, that mentality. “Yaar airport bana diyo Lahore… Amritsar toun bhi loug aa kay te jahaz pharr leyn gay” (Let’s make an airport in Lahore. Even people from Amritsar will be able to catch a plane). That is a contractor’s mentality… thinking of the future, and all that. But you know, then he ignored the rest [of the country], there were other problems over there... So it’s a disastrous situation in Pakistan. Very depressing. The people have always [expected these politicians to deliver]. The religious groups, to this day, don’t get that many votes. But if things carry on, who knows they might. AM – Now we have a mischievous final question. We know you’re a huge fan of cricket. Where do you stand on the Tebitt test? When England plays Pakistan, who do you support? TA – (hearty laugh) You know, I’ll tell you. The only time in my life that I stopped taking an interest in cricket was when I was so immersed in revolutionary socialist politics – from ‘67 to about the 70s – that I just couldn’t think about anything else. So people who had been with me in Government College Lahore, who were playing for the Pakistan team, used to leave messages – “Saanu bhi mil jao, Lords khel reyaan, teray ticket pey huay hain” (We have your tickets for our game at Lord’s). You know, Salim Altaf, Toffee, Parna (what was his name—Pervaiz)… And, you know I was not even tempted! It just drained out of me because there was so much going on. Even at Oxford I didn’t play. Then, when Zia started using cricket, and backing the Pakistan cricket team, then I said f*** it. After Zia’s fall, I got interested again, and started following it. I was not as busy as I used to be for obvious reasons – there’d been setbacks – and then I got completely obsessed in the late 80s and 90s. All my childhood memories came back … I've always wanted Pakistan to win, actually. Not just Pakistan, but you know, when England is playing all South Asian teams, I want those to win. I just identify with them. And the West Indies used to be my favourite! Now I watch Afghanistan. They are amazing! They play great cricket, a wonderful team to watch, real spirit. TA – Yes, Mike was a dear friend. So once or twice I’ve backed England against Australia, just because the Australians were so repulsive and racist. And these young Pakistani bearded boys playing… Moin and Rashid, the Aussies gave them a really tough time which annoyed me. AM – Yes, absolutely. You’ve passed the Tebitt Test for us! 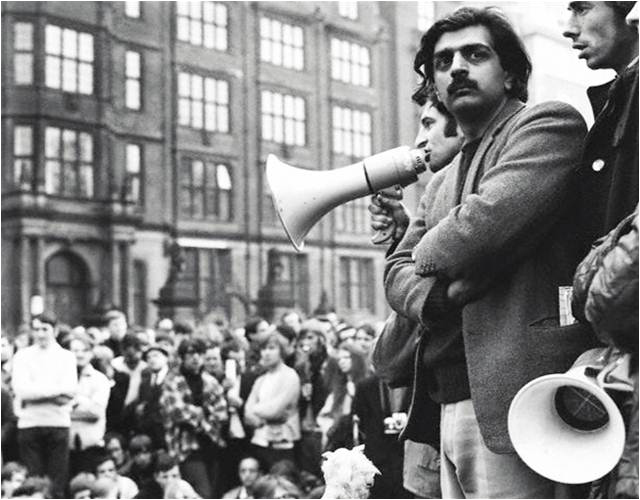 This is Part 2 of a two-part interview with veteran activist and intellectual Tariq Ali. In Part 1, Ali reflects on his memories of the 1968 movement in Pakistan, arguably the only unequivocal success of the wave of protests that shook the world.